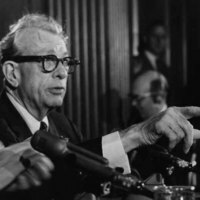 When the 89th Congress convened in January 1965, Democrats substantially outnumbered Republicans in both the House (295-140) and the Senate (68-32). 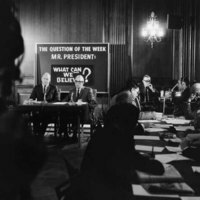 With little opportunity to influence legislation through normal channels, Republican leaders turned to the media to present the party’s critique of Lyndon Johnson’s administration. 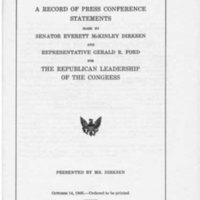 Following formal meetings of the Joint Senate-House Republican Leadership, Dirksen joined with House Minority Leader Gerald R. Ford (R-MI) in regular press conferences popularly known as the “Ev and Jerry Show.” With photographers snapping away, television cameras rolling, and reporters jotting notes, the two leaders talked about the issues of the day and answered questions. 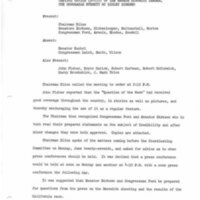 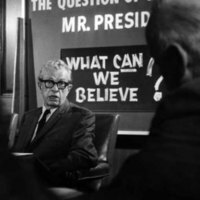 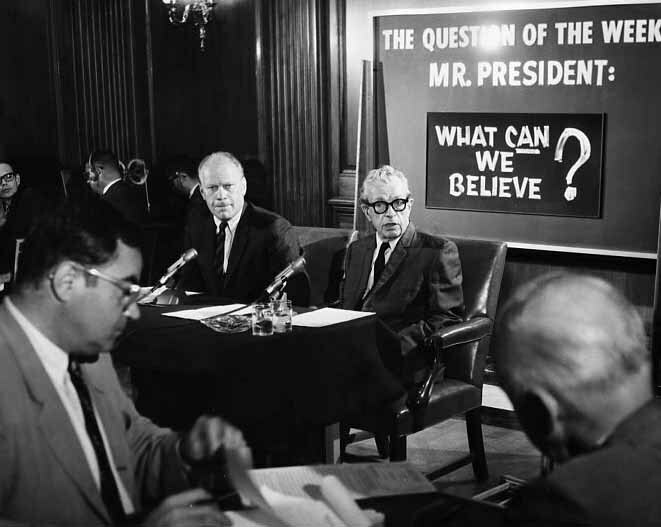 During the first six months of 1966, Dirksen and Ford increasingly accused the Johnson administration of misleading the American people, of creating a “credibility gap.” The phrase was first used to express skepticism about the administration’s statements and policies on the Vietnam War. 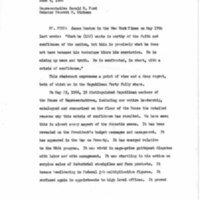 The Republican leaders, however, expanded it to describe discrepancies between the administration’s public pronouncements and its actions on the economy, the war on poverty, wage-and-price controls, and tax policy, among others.